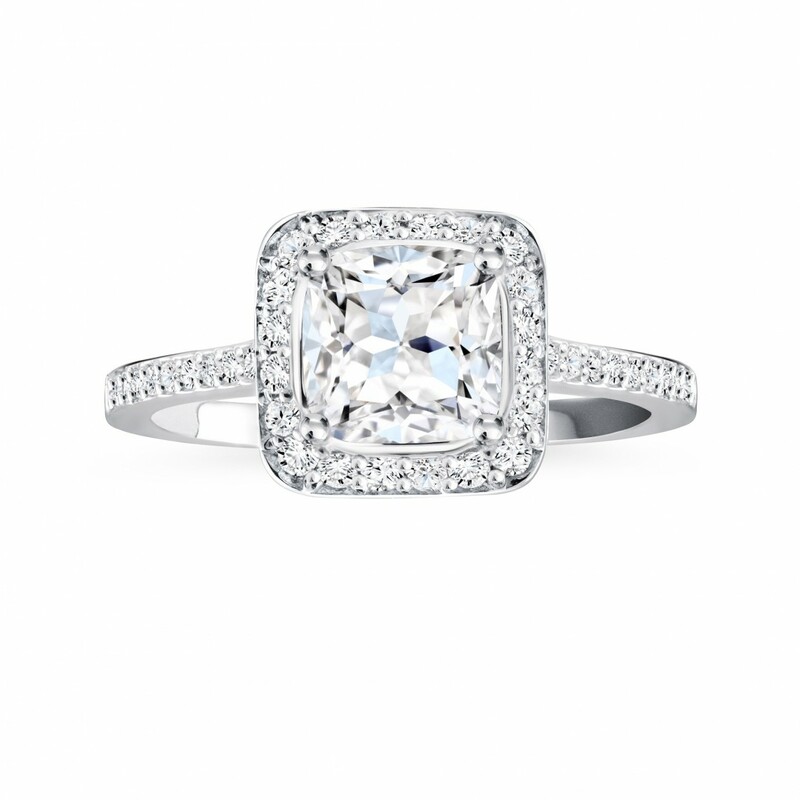 From the Birks Amorique® Diamond Collection, this platinum pavé diamond engagement ring has one solitaire diamond, the ultimate cushion-shape fancy-cut diamond in a star-shaped pattern of facets to maximize brilliance. Offered in a wide range of carat weights, and colour and clarity grades. Handcrafted with Canadian diamonds. 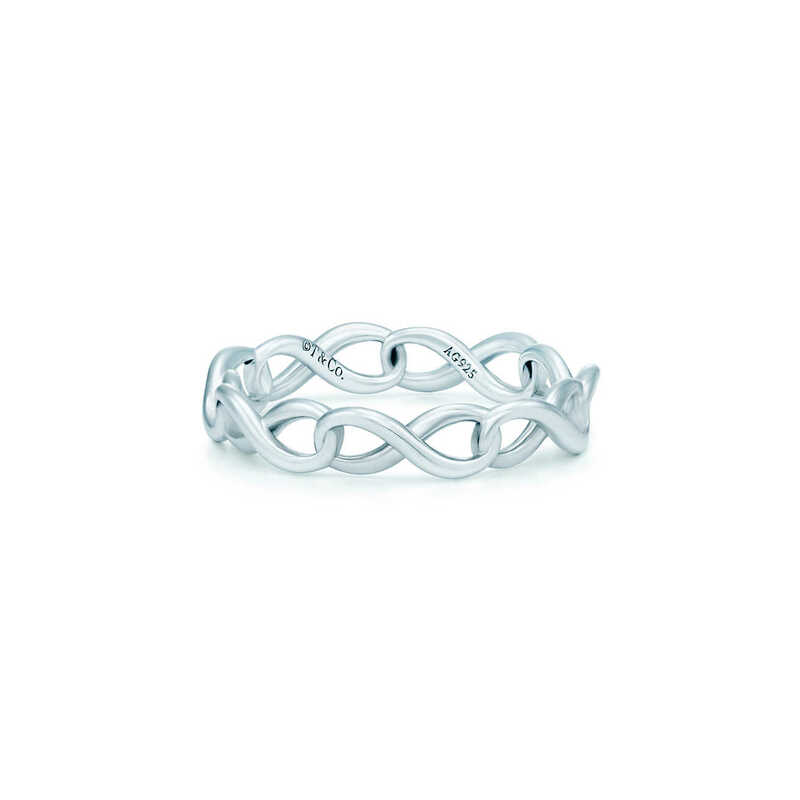 In 18k white gold with a round brilliant diamond. 1.5″ long. Key and chain sold separately. 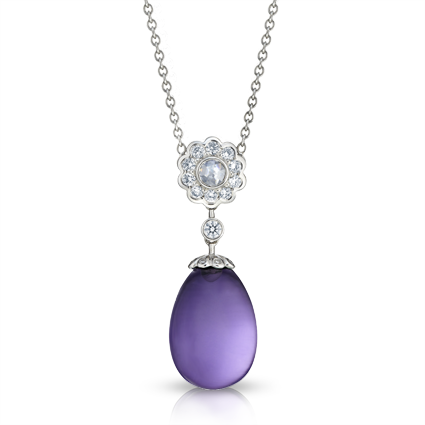 Karenina Amethyst Pendant features round white diamonds and an oval amethyst set in 18 carat white gold. The egg pendant is 16mm. 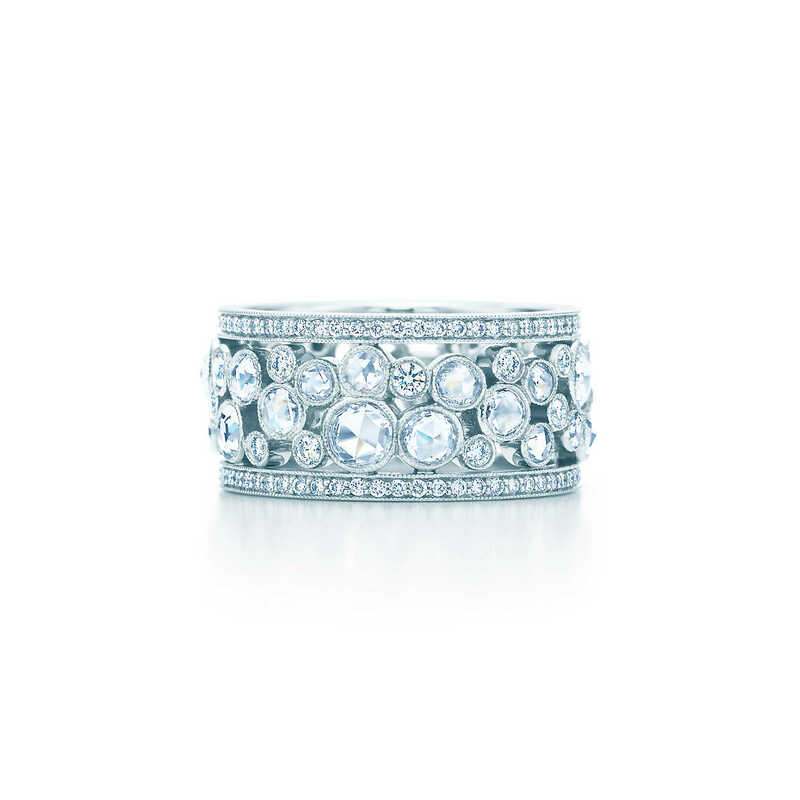 Tiffany & Co.® band ring with round brilliant diamonds in platinum. 3mm wide. Carat total weight .07. 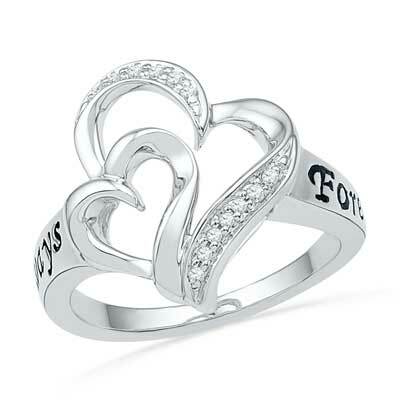 In platinum with round brilliant diamonds. Carat total weight .40. 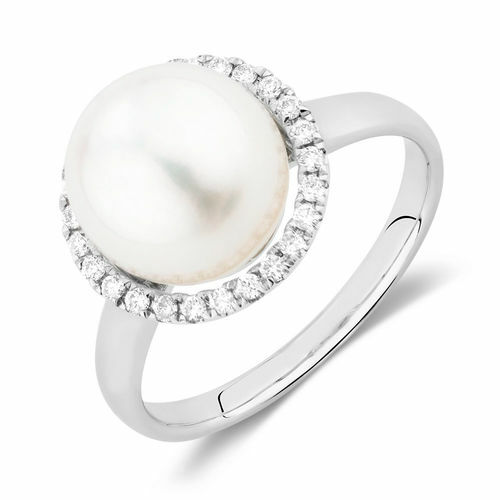 Ring in platinum with South Sea cultured pearls and rose-cut and round brilliant diamonds. Rose-cut diamonds, carat total weight .32; round brilliant diamonds, carat total weight .63. 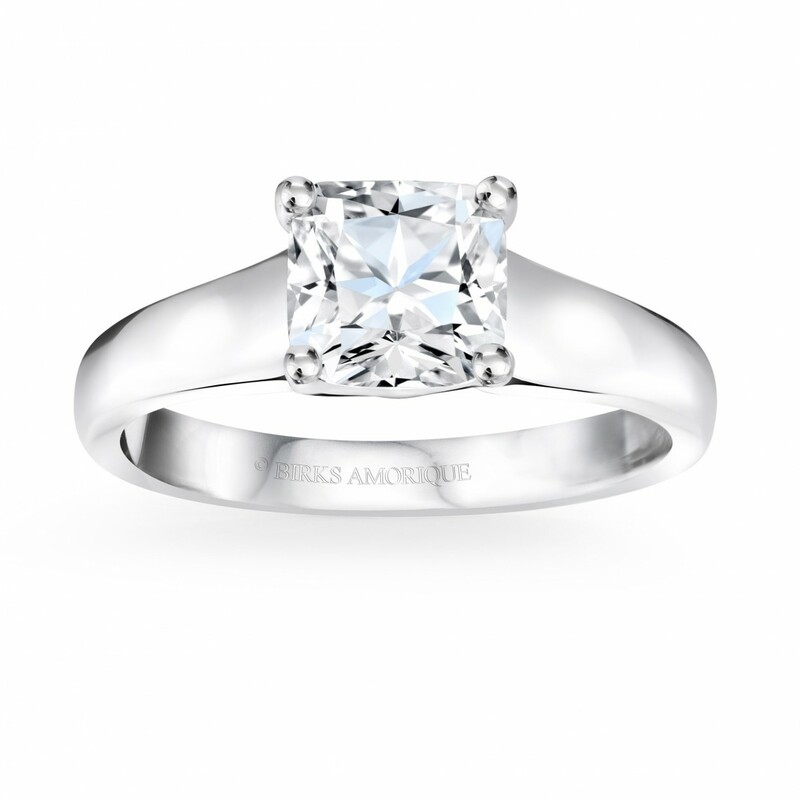 From the Birks Amorique® Diamond Collection, this platinum solitaire diamond engagement ring has an Amorique diamond, the ultimate cushion-shape fancy-cut diamond in a star-shaped pattern of facets to maximize brilliance. Offered in a wide range of carat weights, and colour and clarity grades. 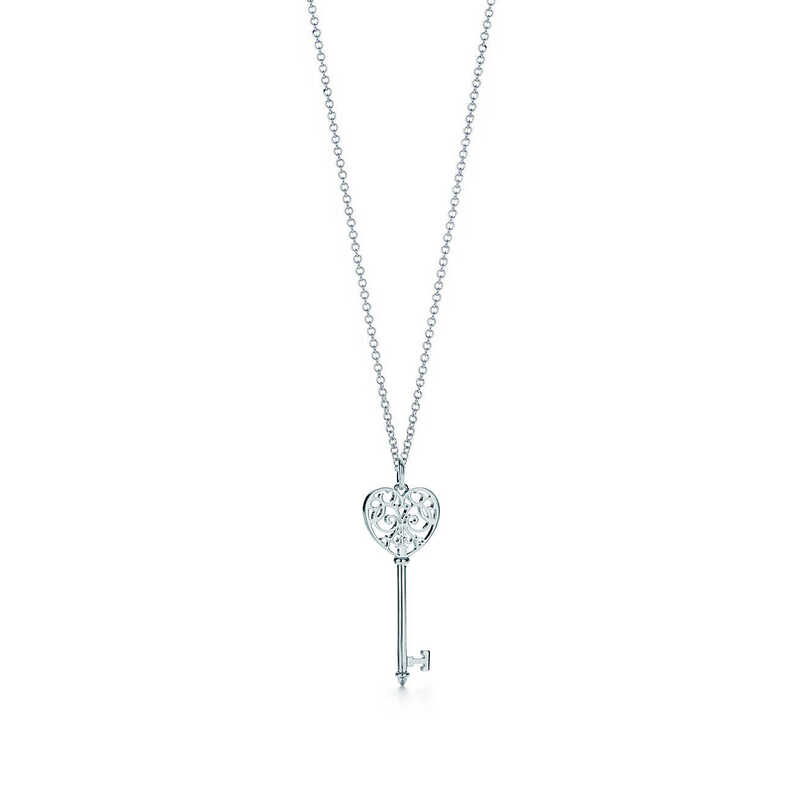 Handcrafted with Canadian diamonds. 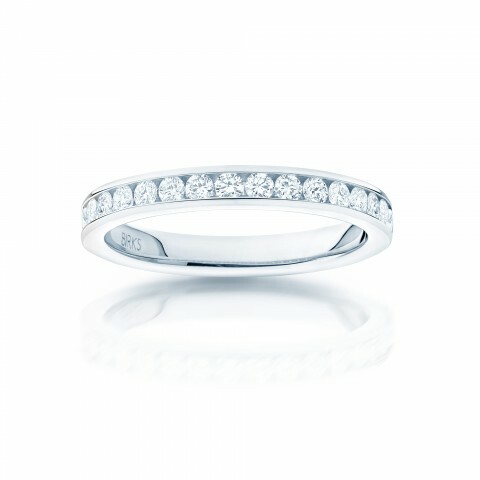 This platinum 3 mm wide plain wedding band for her is available in size 6.5.